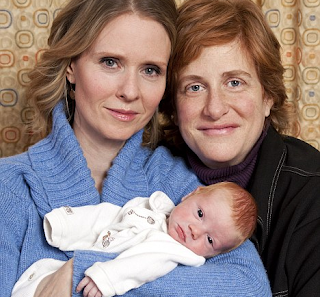 February 8, 2011 - It's a boy for Cynthia Nixon and Christine Marinoni! Marinoni gave birth to the couple's son, Max Ellington Nixon-Marinoni, on Monday, Feb. 7, Nixon's rep confirms. Christine and baby are doing great, her rep tells PEOPLE.